Local Mom Crafts Products that Feed Kids' Imaginations | The Kids Beat | Kids VT - small people, big ideas! Carey Bunker, a Brandon graphic designer and mom of three, began selling art prints for kids' rooms nearly two years ago. Her drawings featured two main characters: bookish big sister Addie and her energetic little brother, George. She soon expanded her offerings to include items that would activate kids' imaginations and encourage them to commune with nature. "I feel like kids need a world they can escape to," Bunker explains. 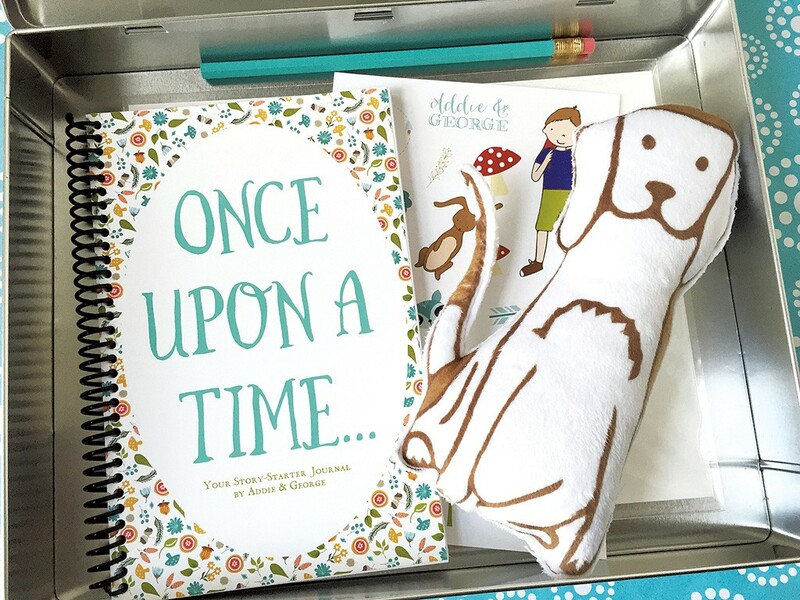 Her company, Addie & George, boasts a wide range of products for ages 4 to 10, including shadow puppets, story starter kits, paper masks and crowns, and adventurers' kits. Bunker rolled out her latest product, Addie & George Coloring Adventures, at the end of April. The coloring and activity book features original brown-and-white drawings and a short story kids can finish themselves, plus a treasure map and a package of seeds to ensure plenty of outdoor adventures. To purchase Addie & George products, visit addieandgeorge.com.